We have up to 18 books to give away to listeners who leave us an iTunes podcast review! For every 10 reviews that we receive, we’ll pick a name out of a hat to select the winner. Each winner will get to choose which book we send them. Even if you wrote a review in the past, you can still enter the contest. Since we’re waiting until we receive ten screenshots of reviews to draw a name, you have multiple chances to write reviews and enter. The more entries we receive, the more books we’re going to giveaway! Leave a post in the OSF Facebook Group with your screenshot and the hashtag #OSFContest so we can easily find your entry. On this week’s episode, we had the lively and awesome Rock Your Business Coach, Arriane Alexander, share her story of how she went from business executive to completely changing her life around. 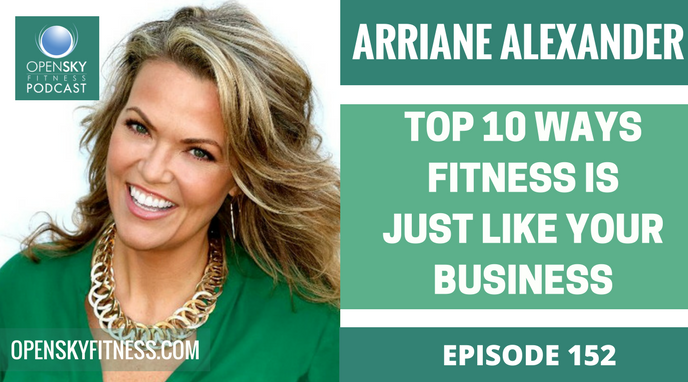 Arriane will be sharing her Top 10 Ways Fitness is Just Like Your Business and you definitely don’t want to miss out! Whether you have goals in fitness or business, it turns out that they have very similar motivation principles. You’re Not a Victim to Your Fitness or Your Business. Get ready for a whole lot of learning! Bring more of yourself to the table and bring it with intention. You can’t work on something for 3 months and then completely ignore it for 3 months and expect it to be the same later in the future. Remember to be kind to yourself because this is a process. You don’t have to do everything at once. Just be consistent with easy goals and your consistency will lead to long-term results and success. We all have our own strengths and weaknesses. Not everything that worked for another person will work for us and likewise. Maybe you’re great at doing videos, but other people are better at using podcasts to their advantage. Similar with heal and fitness, we all have different bodies that have incredible abilities and function in varying ways. 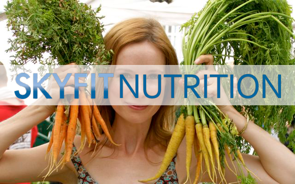 Some people can eat low carbs and higher fat protein and be fine, other people need a different diet. Some people will see results and enjoy doing weights, other prefer HIIT workouts. Always have a focus. You may say, “I want to be fit,” but what does that really mean? You need to have a clear idea and purpose for what your goal will be. Instead of just saying, “I want to be fit,” be more specific. 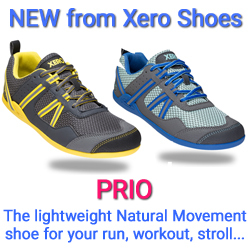 Decide if you want to gain more muscle, run for longer distances, lose fat, get lean etc. With a business idea, you need to have at least some sort of vision for yourself. You can’t go from A to Z in just one year and say I want to have a million dollar world-wide brand by next summer. What you can do, is to focus on getting from A to B within a year. Build greater focus on your brand with solid goals. Whether it’s fitness or business, have an intention behind it. Are you enjoying or hating the process? You have to be happy along the way. Life happens and it’s easy to get distracted by everything it throws at you. If you’re constantly putting yourself down and telling yourself, “I can’t start a business,” or “I can’t get fit,” your not allowing yourself to get out of your comfort zone. But this is the journey and everything that’s holding you back will present itself to you the minute you start to take action towards your goal. It’ll be uncomfortable and you’ll face resistance and distractions, but that’s your opportunity to work through them. With a business, you might be saying in your head, “I can’t do it, I’m no good at this, someone else will be more successful than me etc.” Or maybe you feel like you’re being held back from not trying harder during your workout. It’s normal to have a story running through your head; a constant tape that tells you who you are and who you can’t be. 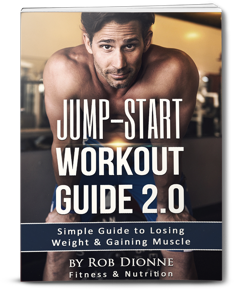 In order to move forward, you have to delete the tape that’s telling you you’ll have lose weight or you’re not good at marketing. If you don’t delete your old tape, you’ll never be able to create your new story. People will say, “I’ll start my business or I’ll go to the gym when I’m ready,” but the thing is, we’re never ready. We just learn as we go. Take some time to write down or come up with your ideal scene. Paint a picture and start living it. Every first step will be scary, but everyone has to take their first step at some point to move in the direction that they want to go in. Don’t be afraid of reaching out to people who can help you take action. You need to surround yourself by people who are doing well at business or who love to workout because they can help you grow. When you’re afraid, you send yourself done a rabbit hole of fear. Don’t let fear hold you back. 8) Your Past Does Not Dictate Your Future. It’s not helpful to focus on your past if you want to get ahead in life. How do you want to create a new, empowered you and start to build your future from this moment? Nothing is stopping you from achieving your future except how you define yourself in your past. You can let go of what you didn’t do in the past like join a gym or launch a business because those have nothing to do with your future. It takes time to get to where you want to be, but it doesn’t mean that you can’t enjoy the present moment and the process. Having a reason for doing something is what makes it all possible. You have control over your situation. You are not a victim who has to give in to bad choices. It feels good to think and believe that it’s not our fault. On the other hand, if something is important, we will find the time to do it. We all prioritize what’s important to us. Therefore, we’re actually making a choice that our health isn’t important to us or starting up a new business isn’t worth our attention. How are you going to track your progress if you don’t have a starting point? Take measurements of where you’re at now so you can see your growth and improvement in either your health or business. First, you need to figure out your actual action goal and what you’re going to do in order to reach it. Document what you’re doing to see where you get stuck and when the resistance comes up. If you decide to have a cheat meal or snack, understand that it’s not going to completely throw you off from your results. You just have to find out why you were craving that food and how you can get back on track with your health. Arriane Alexander is a a Rock Your Business Coach with over 15 years of massive success in Sales and Marketing in Corporate America and a Masters Degree in Spiritual Psychology. Her business expertise comes from a career as a high level successful executive in Sales and Marketing in the fashion business for Brighton Collectibles as well as in pharmaceutical sales with Upjohn. She also works consistently on TV shows like The People v O.J. Simpson, Justified, Grey’s Anatomy and Mistresses. On top of that, she is the Host of two TV shows and has booked numerous commercials. Arriane works with women from all over the world –Entrepreneurs, Health and Fitness Gurus, Real Estate Agents, and Executive Business Women. 3:30 Check out our Review Contest Book Giveaway event! 6:30 The difference between practitioners: Integrative, Functional, Naturopathic, Holistic, Homeopathic, Osteopathic, etc. 32:00 Which type of doctor should you go to? 35:00 Arriane’s background story: How does someone follow the path to becoming a Business Coach? 36:40 How Arriane’s Master’s Degree in Spiritual Psychology allowed her to completely change her life from working in the corporate world to being a Business Coach. 1:32:40 8) Your past does not dictate your future. Thanks for listening/reading Episode 152 – Arriane Alexander: Top 10 Ways Fitness is Just Like Your Business! We hope you have gained more knowledge on how to be a healthier you.